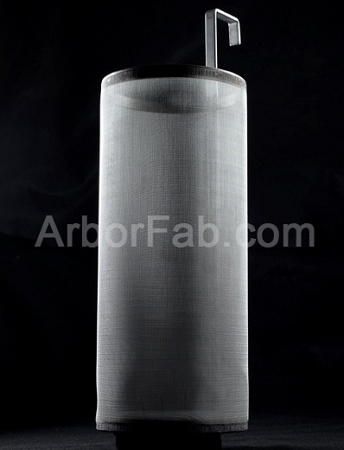 These 6" by 14" 300 micron stainless steel mesh brew filters for keggles are great for holding back hop gunk so your plate chillers won’t get plugged up. They will keep the gunk off the bottom of your kettle also. The hook extends 4” up from the top of the filter, bends 2” over to the edge of the keg and has a 1” bend for the hook. 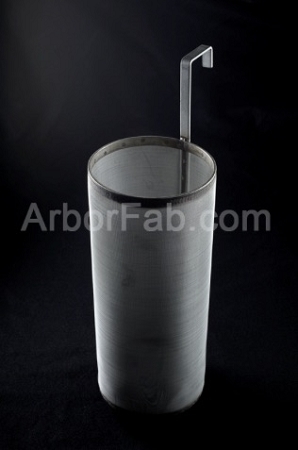 From the top of the hook to the bottom of the filter it measures 18”. 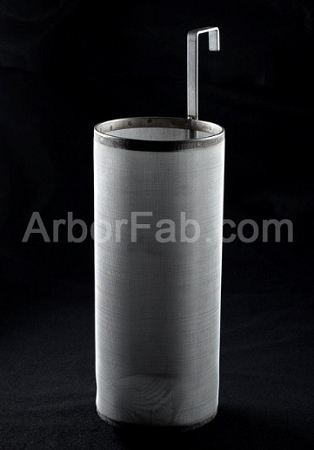 It’s made from 100% stainless steel, easy to clean, and hand fabricated right here in the USA. If you need a different size hook, contact us for a custom hook. Be sure to add some PBW for cleaning purposes!